Happy Friday, y’all! Today, I have a salmon patty recipe that I adapted from Dr. Axe. His original recipe is simple, but very tasty! 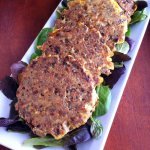 It’s my new favorite recipe for salmon patties. Even my husband likes these, and he isn’t really a big salmon fan. By the way, if you aren’t reading Dr. Axe’s blog, you definitely should. He has some great recipes and health information! Also, I just saw on Twitter that he and his wife (who is also a natural health & fitness expert) are supposed to be taping an episode with Dr. Oz next week, so keep an eye out for that! 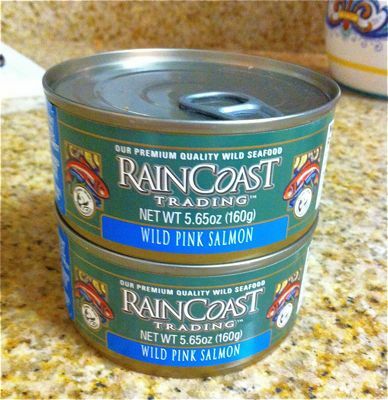 For my recipe, I used two cans of the Raincoast brand of salmon. The one addition to the salmon cakes in Dr. Axe’s recipe that was a little different than my usual salmon patties were these crackers. 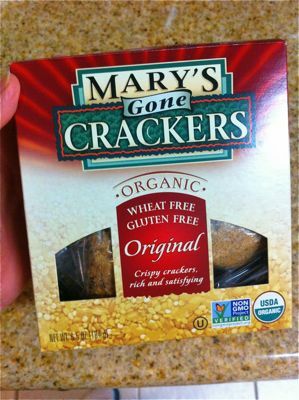 The Mary’s Gone Crackers brand of crackers are wheat and gluten free, plus verified non-gmo! 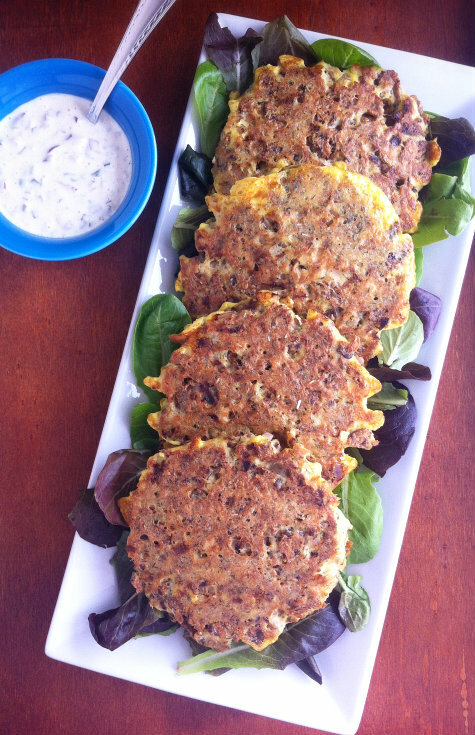 I’d eaten these as a snack, but never thought about putting them in my salmon cakes before. Salmon patties can also sometimes be a little tough to flip without breaking them, and I was afraid that these would be especially hard because they started out so wet. Turns out, they flipped just fine. Actually, better than most of the one’s I’ve made. I serve this homemade tartar sauce from Simply Recipes over the salmon, and it’s the perfect compliment to them. 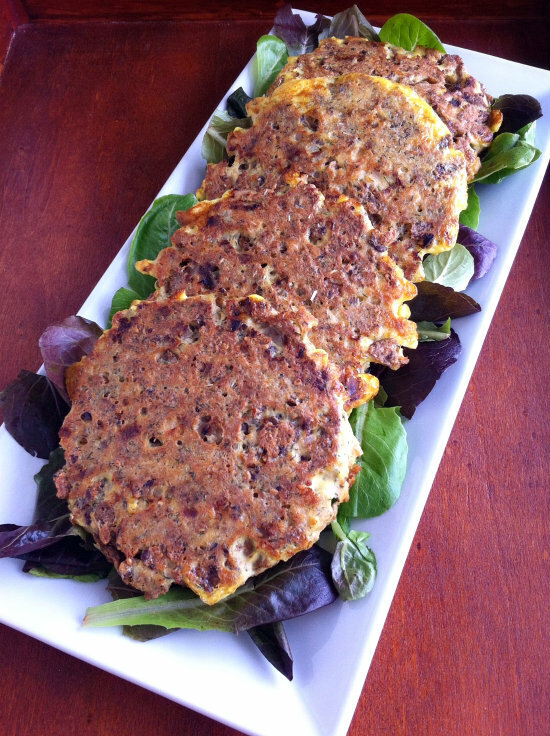 Do you have a favorite recipe for salmon patties? Salmon. Love it or hate it? In a large bowl, mix all of the ingredients together. Preheat 1 tbsp of coconut oil (or oil of your choice) in a large pan over medium heat. Shape the salmon mixture into 4 patties and add to pan. Cook five minutes on each side. Serve with tartar sauce. By Tempie at June 21, 2017 .